Aloe lotion has been used to soothe and heal sunburn for generations, but it can also be used on other types of burns. For example, many people apply lotion with aloe vera to minor burns caused while cooking. The stinging sensation of the burn is instantly relieved when the lotion is applied, but if it is used consistently the aloe will also help the burn heal faster. If you have ever suffered from dry skin, you know how uncomfortable it can be. From the flaking of the skin to the uncomfortable tight feeling of the skin, this is one of the most difficult skin conditions to live with long term. The good news is many people experience great relief from these symptoms when they apply aloe lotion on a regular basis. Aloe lotion gets into the skin and holds in moisture for long term moisturizing. Aloe vera has become a very popular ingredient in lotions designed to moisturize the skin, but some are far more effective than others. Some will use large concentrations of aloe vera, but others will use a token amount just to earn the right to list it as an ingredient. It is best to use a high quality lotion that contains a larger amount of aloe vera. If you look at the ingredient list, aloe vera will ideally be first on the list. Note that you will eliminate the cheaper lotions from consideration when you start looking at the ingredient list. This is simply because those lotions get their cheap price by skimping on the aloe vera. This means they will not be nearly as effective as a higher priced aloe lotion with a higher concentration of aloe vera. If you want very soft, silky skin that is a pleasure to touch, go with a high quality aloe lotion. The smooth feels comes from the increased moisture content of the skin. Since the skin is well hydrated and nourished through the aloe vera, it also looks more youthful and fresh. 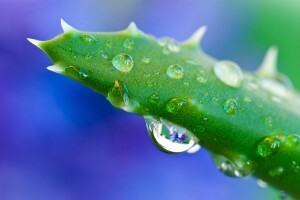 This is why aloe vera has become a very popular ingredient for higher end facial moisturizers. It may not be the ideal solution for those with severe acne conditions, but it has been shown that aloe lotion facial products can be very effective against acne outbreaks. These facial lotions are best used on a daily basis, so the aloe stays in the skin and helps prevent breakouts while moisturizing and nourishing the skin. You always have to consider the risk of the ingredients in a lotion, especially those designed for use on burns. Aloe vera is a natural resource that has been used for many generations, so you don’t have to worry about it harming your body. There are clearly benefits to using aloe lotion on a daily basis, but just keeping it on hand for occasional burns or breakouts is crucial. 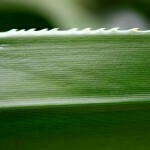 I just believe in herbal treatment and aloe Vera is my favorite.